cheese cloth (available at grocery stores in the housewares section, hardware stores in the paint section) Clean pantyhose can be substituted for cheese cloth. 1 oz. marijuana trim - if using buds aka flowers you can use less as there are more active marijuana molecules in buds, less in leaves, and very little in stalks. 4 cups HOT water (not boiling - just HOT!) - used at the end to thoroughly rinse the butter from the marijuana. DRIED Marijuana leaf or trim is ok to use for making cannabutter. Using dried buds aka flowers will increase the intensity, so keep this in mind if using bud. (fresh, recently harvested marijuana has great amounts of THCA, - tetrahydrocannabinoic acid - which is INACTIVE. Over time and during the curing process, it slowly releases CO2, turning into THC - so use dried bud or leaves). Some recipes say to grind the marijuana to a fine powder. This is not only not necessary, and could add more plant debris to the end product. Buds should be ground to small chunks but not a fine powder. Leaves do not require grinding. The purpose of grinding is to expose more of the surface area. If you have dense buds, it is helpful to grind to more easily expose the dense inner part of the bud to the butter. It also helps during the straining process, ensuring that you can squeeze all the butter out of the marijuana plant matter. A crock pot is preferred, as the temperature is more consistent, and doesn't require as much attention. You can set it and mostly forget it. Some crockpots get quite hot, even on the low setting after they've been left on for hours at a time. Occasionally check on the crock pot and if it is staying very hot, turn it off for 15 mins. - 1/2 hour, then turn back on low. Once water heats up add butter. When butter melts add marijuana, stir in until completely saturated. Turn down heat to low setting. Stir every few hours. Cook for 2 - 24 hours. The longer the stronger. There is much debate on this step. It is very likely that most of the THC has been removed from the plant material after 6 hours, however many cannabutter cooks are convinced that closer to 24 hours brings out the most THC. So if you're in a hurry 6 hours should be fine. If you're in a really big hurry you can do this on the stovetop and forget the crockpot, however making cannabutter on the stove requires you to continually monitor, as the stove can more easily burn the butter and damage the THC. If using the stove it is best to use a double boiler. Turn off the crockpot. Drape 2 large layers of cheese cloth over your strainer. Enough so that the cheesecloth hangs over the sides of the strainer, allowing you to gather it up when you are done pouring the cannbutter thru and squeeze out the remainder. Place the strainer with the cheesecloth draped over it over the large glass bowl. Slowly pour the cannabutter through the cheesecloth covered strainer. Be careful not to burn yourself. Gloves come in handy. Pour the 4 cups of HOT (not boiling) water over the marijuana to remove any butter still sticking to the marijuana. Wearing gloves, lift up the sides of the cheesecloth and squeeze out all the remaining liquid into the bowl. You can either store this bowl in the refrigerator, or pour into a blender container and store in the refrigerator 12-24 hours. (long enough for the butter and water to separate, and the butter to become solid). The blender container comes in handy as it doesn't take up as much room in the refrigerator, and the bottom can be unscrewed allowing the water to easily be drained after the separation process. Remove the cannabutter from the refrigerator and separate from the water by loosening the edges with a knife, or if using the blender container, screw off the bottom of the blender (over a sink) and the water will pour out leaving only the cannabutter! 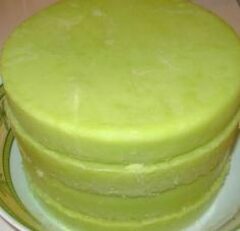 Now you can medicate with cannabutter / marijuana butter / weed butter / pot butter in all your recipes that call for butter or oil! Spread some on a cracker or toast! An empty stomach works best. It takes up to 1 hr. to feel the effect. If after 1 hr. you don't feel anything you can eat a little bit more. After a while you'll learn the optimum dosage for yourself. If you make a weak batch of cannabutter you can eat more, if you made strong batch of cannabutter eat less. The Strength of the butter depends on the amount of marijuana molecules in the marijuana you use.